A new generation of domestic media artists has in recent years attracted plenty of international attention. This new breed of artist is typically defined through their tools — often programming code — working as developers at the intersection of art, design, engineering and technology, among other things. Most importantly, these artists also produce a variety of unique cultural works. Having grown up in an emerging do-it-yourself environment, they are technicians who hack and manipulate microcontrollers to create a wide range of eccentric machines and devices for interactive installations. They use sound, visuals and prototypes in artistic and commercial ways, thus permeating the established boundaries of genre. Code may be the underlying foundation behind most of these artists’ works, but their individual output varies greatly. 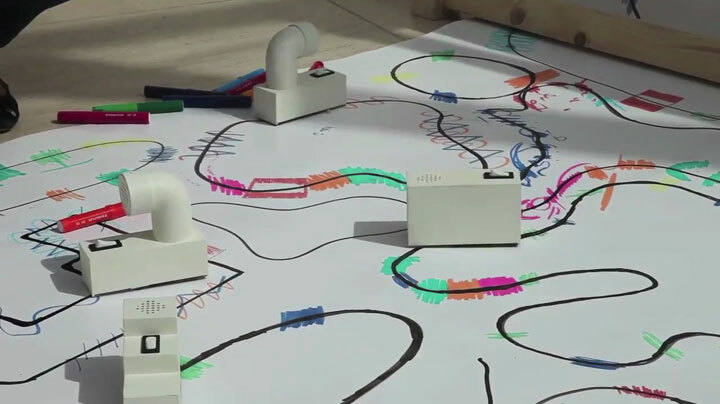 While modern media artists tend to use digital technology to produce their artwork these days, analog tools are still relevant and many continue to use both in order to create an eclectic body of work. First, however, let’s step back a little and examine the artists and events that laid the groundwork for this movement to flourish in Japan. The first hint that there was a clear affinity between art and technology came at the Pepsi Pavilion at the World Expo in Osaka in 1970, where Experiments in Art and Technology artists collaborated with engineers to design and program a geodesic dome that was obscured by a fog sculpture by artist Fujiko Nakaya. Having grown up in an emerging do-it-yourself environment, they are technicians who hack and manipulate microcontrollers to create a wide range of eccentric machines and devices for interactive installations. 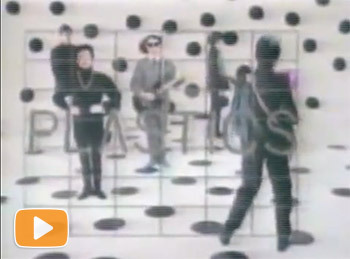 VIDEO: Original promotion video of the Plastics "Copy" 1979. In the same vein, electronic trio Yellow Magic Orchestra pioneered the use of equipment such as samplers and synthesizers in the domestic music scene in the 1980s. 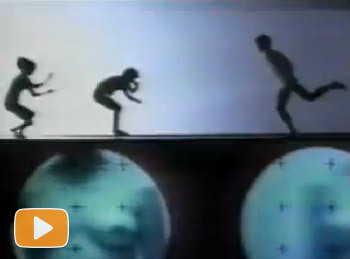 In the mid-1980s, media artist Toshio Iwai started creating installations using computer graphics, video projection and stroboscopic LED lighting while also developing computer games at the same time. In 2007, he would go on to create an interactive digital musical instrument called Tenori-on in collaboration with audio-equipment manufacturer Yamaha. A number of private and public institutions also helped recognize electronic art in the early 1990s, including the Tokyo Metropolitan Museum of Photography and the Canon ARTLAB. In 1997, telecommunications company NTT opened the NTT InterCommunicationsCenter (ICC) in Tokyo’s Hatsudai neighborhood, which has since garnered a reputation for being a space where technology is part and parcel of everyday life. 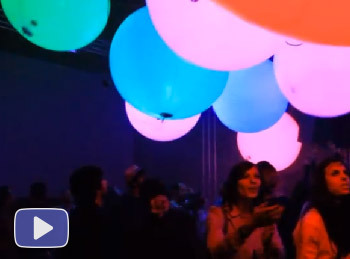 That same year, the Japan Media Arts Festival also embraced electronic art after receiving support from the government’s Agency for Cultural Affairs. More recently, the Yamaguchi Center for Arts and Media, which opened in the city of Yamaguchi, Yamaguchi Prefecture, in 2003, has also helped promote the genre. 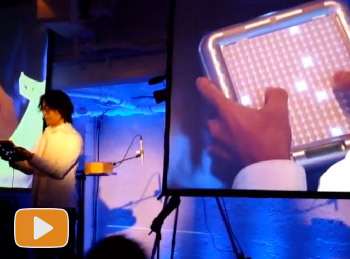 In hindsight, the 1990s was especially fruitful for three media artists who focused on playful experimentation with devices that sat at the intersection of technology, science, design and entertainment: engineer Hiroo Iwata produced quirky machines, Ryota Kuwakubo innovative minimalist game interfaces and Maywa Denki whimsical musical instruments. The latter is a pseudonym for Nobumichi Tosa and his so-called art unit who, clad in worker overalls, created “nonsense machines” for his musical performances. Initially owned by Sony Music Entertainment, Maywa Denki transferred its management to Yoshimoto Kogyo in 1998 as Tosa started to take a different approach to manufacturing and started to explore commercial opportunities. Also that year, Kuwakubo designed a prototype of BitMan, an LED device that depicted a man dancing when shaken. The prototype later became an actual product that was manufactured and marketed in collaboration with Maywa Denki. Maywa Denki’s musical instrument series KnockMan, an orchestra comprised of figures that knocked, was marketed in a similar fashion in 2003. VIDEO: Scenes from "Cyber Arts Japan Ars Electronica — 30 Years for Art and Media Technology"
By the mid-1990s, Ryoji Ikeda, a composer of electronic music and a visual artist, stood at the other end of the media art spectrum. His audio-visual performances were based around a mathematical aesthetic and minimalist style that more than likely continues to inspire up-and-coming artists today. As a longtime member of Dumb Type, he helped develop the multidisciplinary art collective’s electronic style as well. Thus, media art has undergone massive paradigm shifts over the past 20 years. To some extent, this is true. Since the emergence of a new art form called Internet art (often referred to as net.art) in the 1990s, almost anyone can use the Internet as a medium to create and display his or her work online. However, the Internet is a vast chaotic network that contains content that hasn’t been curated effectively. This has most recently led to the expansion of digital expression on new kinds of media such as smartphones and tablets. Now that we’ve examined how media art has evolved, let’s look at the state of the genre in Japan today. 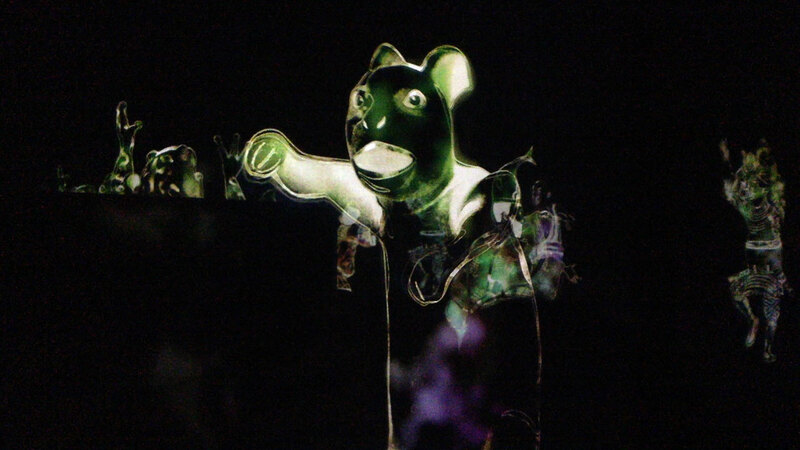 In essence, four artists or agencies represent various facets of the contemporary community in the country: Internet duo exonemo, sound artist Yuri Suzuki, body scientist Daito Manabe and his Rhizomatiks collective, and teamLab, which has been embraced by the serious art world on the back of its mesmerizing digital projections. 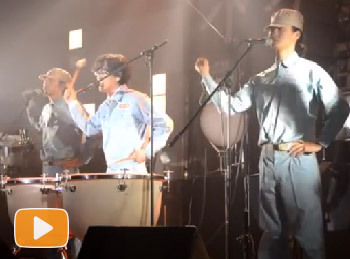 VIDEO: A Maywa Denki performance from 2011. 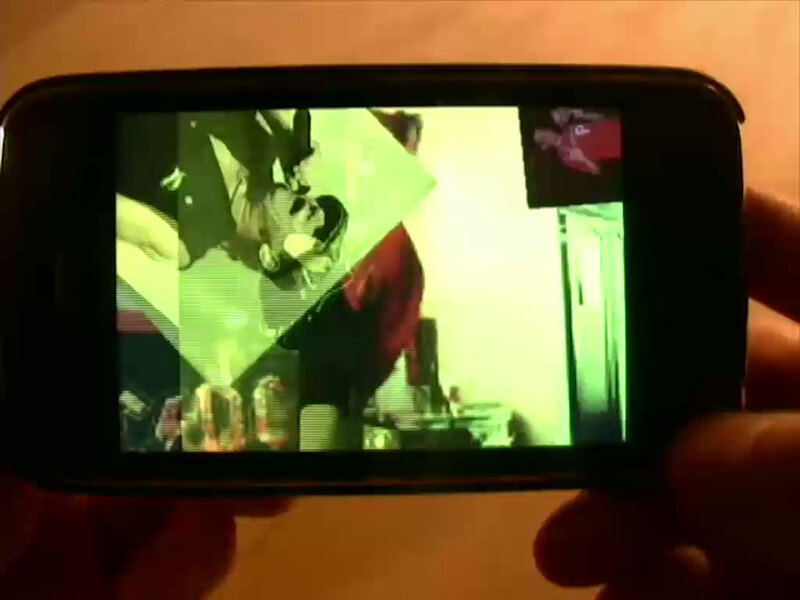 Exonemo, an art duo comprised of Yae Akaiwa and Kensuke Sembo, have primarily been working with smartphones to explore the fractured world that exists between online applications and real life since 1996. Inspired by what they see online, the pair use the Internet to constantly question our relationship with digital media. Based in Fukuoka, Kyushu Prefecture — but feeling rather at home in the virtual world — they graduated from art university only to realize they weren’t actually very good students. They have subsequently created a number of software applications and websites for hacktivist activities. One of the best examples is “FragMental Storm 02,” which shreds online digital footage and remixes it into a collage in real time. 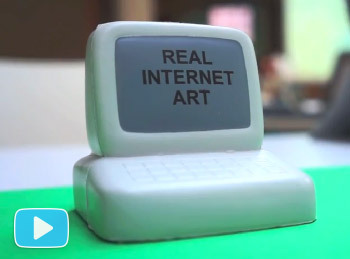 They have even featured the Internet in installations and performances. 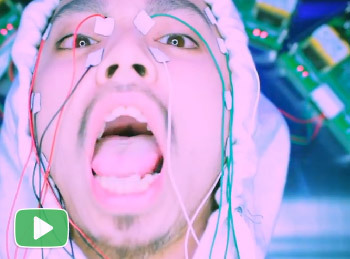 In “Danmatsu Mouse,” for example, a computer mouse is destroyed and it’s last convulsions are recorded and shown as a performance video and used as part of a game (danmatsu means “last agony” in Japanese). Exonemo has always adopted a user-centered approach. “We prefer exploring media or technology that surrounds us in everyday life and are less interested in using cutting-edge technology people aren’t familiar with,” Sembo says. The pair has recently extended the chaotic networks they created online to the physical world — to your neighborhood. 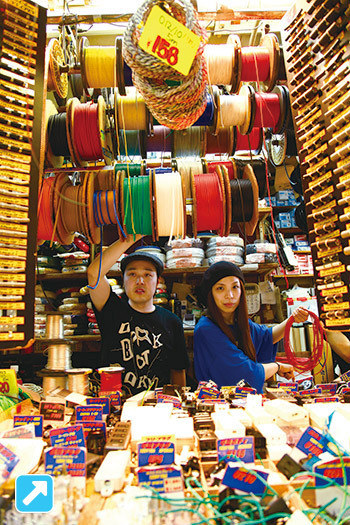 Their ongoing “Internet Yami-Ichi/Internet Black Market” is essentially a series of flea markets in which artists, hackers and developers attempt to sell a variety of homemade applications, mobile services and gadgets based on the Internet. The event was created as a way to make a statement against the strict guidelines and submission policies of app stores run by Apple and Google. One of these was held at Berlin’s transmediale media festival in 2014, and also at this year’s inaugural Sapporo International Art Festival. According to Yukiko Shikata, an independent curator based in Tokyo, the media art scene is evolving as this idea of a community spreads. Collaboration is also a signature trait of fellow creative Yuri Suzuki. 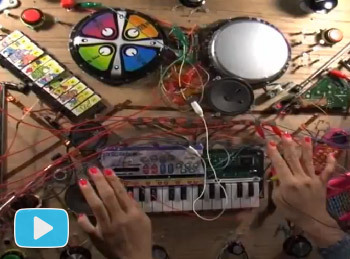 The London-based sound artist and designer is renowned for working closely with developers and mechanical engineers in order to create a dazzling array of custom-made instruments and playful interactive installations. For five years he served his apprenticeship under Nobumichi Tosa, the charismatic leader of Maywa Denki. Joining Maywa Denki in 1999 at the age of 18, he was asked to assume a wide variety of roles in the group: produce the musical instruments, work as a production assistant, look after the audio engineering, and even appear on stage to sing and dance during performances. His performances at Maywa Denki shows overseas eventually led him to move to London and study a course in design products at the Royal College of Art. Since then, Suzuki has focused on creating eccentric sound devices out of ordinary everyday objects. 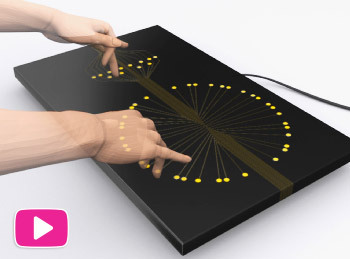 Collaborating with British composer Matthew Rogers in 2010, he created the “Urushi Musical Interface,” a touch-panel instrument that uses urushi lacquer that is connected to a MIDI interface via gold-powder inlay. Two years later, he was commissioned to make a series of robots that are controlled with a MIDI signal and dedicated to design movement for experimental rock outfit Androp’s “Worlds Words Lights” single. Suzuki also worked with headphone manufacturers AiAiAi the same year to create a “Sound Taxi” that can generate real-time music from street noises that are picked up by a mic while driving through London. 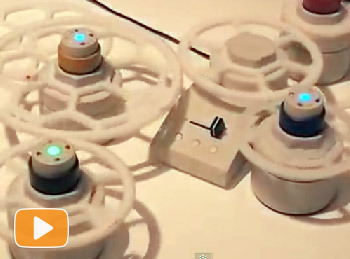 In 2013, he founded an “invention company” called Dentaku with British designer Mark McKeague. 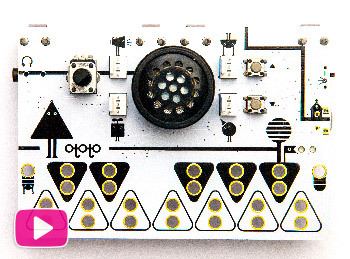 Funded by Kickstarter, Dentaku’s first project was “OTOTO,” a do-it-yourself electronics kit that allows users to turn virtually any object into a musical instrument via a system of wires, crocodile clips and sensors. “It was a new experience for me — making a mass-produced product that people can actually buy as opposed to creating an installation,” Suzuki says. As if that wasn’t enough, these intricate pyramid-shaped musical robots certainly got the world’s attention when Brazilian musician Sergio Mendes used them during “Digital Revolution,” an exhibition curated by London’s Barbican Centre that is traveling around the world for the next three years. More of Suzuki’s innovations are on display at a solo exhibition, “Playing with Sound,” at CCC (center for creative communications) in Shizuoka City through Dec. 27, 2015. 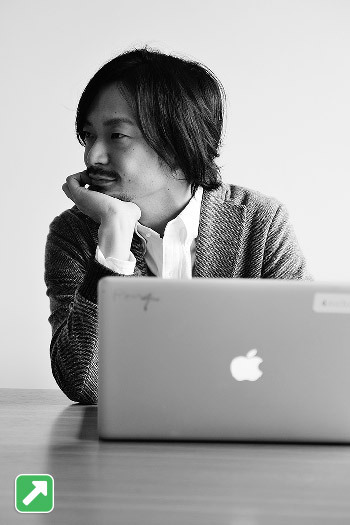 Visual sound artist Daito Manabe comes from a totally different background to Suzuki when it comes to working with sound. What they do have in common, however, is an experimental philosophy and an ability to carry their designs over to the mainstream market. This seamless crossover between their creative processes and their commercial output is common among up-and-coming media artists who know how to take advantage of both sides of the coin. 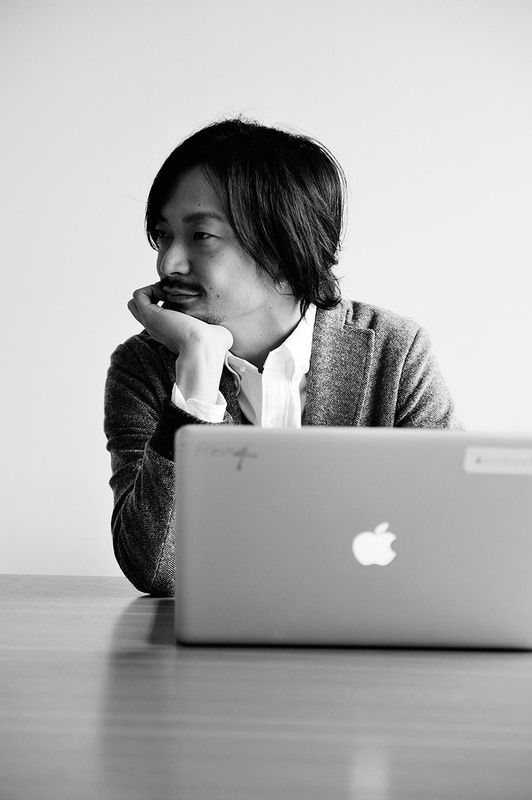 The forces that inspire art and commercialism work both ways, Qosmo’s Tokui says. This is exactly what Manabe does with the Rhizomatiks collective he founded in 2006. Based in Tokyo, Manabe comes from a traditional media art environment, graduating in dynamic sensory programming from the International Academy of Media Arts and Sciences in addition to obtaining a degree in mathematics from the Tokyo University of Science. In a manner of speaking, he is a scientist dissecting and reinterpreting the human body through programming code. “Technology is just a tool, but I capture the world from a different angle rather than see it with naked eyes or hear it with naked ears,” Manabe says. 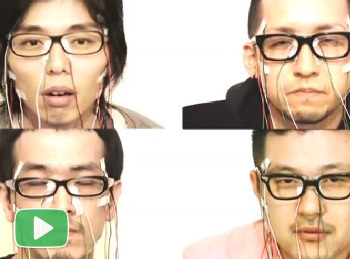 Manabe first caught the eye of the media art and code worlds in 2009 with his fascinating “Electric Stimulus to Face Tests,” in which he attached electrodes to the faces of various people and recorded how the muscles distorted their features according to the rhythm of the stimuli. 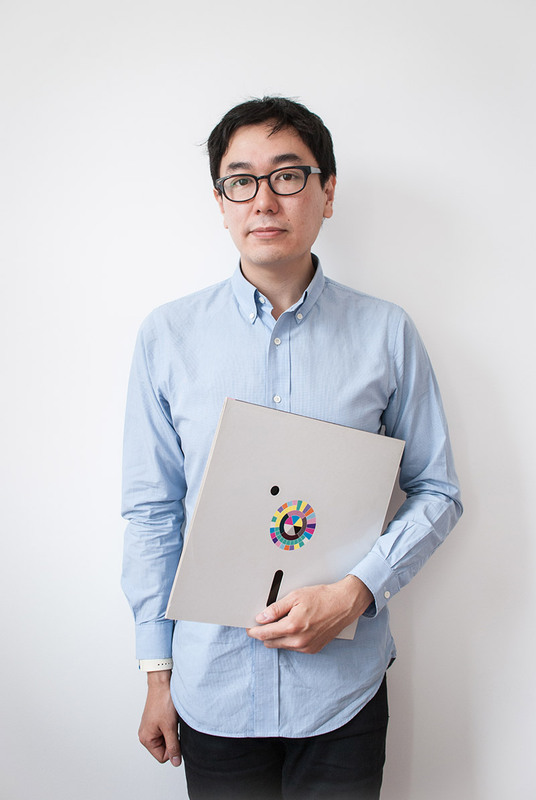 He has been working with Rhizomatiks, an interactive design group he started with Seiichi Saito and Hidenori Chiba, to perfect his craft on large-scale commercial projects. For such projects, Manabe collects massive amounts of data using motion capture, kinect controllers and sensors to track dance movements. He then recreates the human forms and their movements as 3-D representations in real time through such technology as projection mapping, lasers or, weirdly enough, drones. In essence, Manabe is using ideas first developed by project-mapping pioneers such as Klaus Obermaier and Ars Electronica Futurelab in 2004 (“Apparition”) in addition to work done by Myron Krueger in the 1970s to feed new commercial applications. Manabe used the aforementioned drones earlier this spring in a performing arts environment with domestic dance troupe Elevenplay. He has also orchestrated complex audio-visual shows on a much larger scale for J-pop outfit Perfume since 2010, accompanying the trio on their world tour in October and November. Saito had studied architectural design in New York and had been working in advertising before he returned to Japan. Chiba has a background in website development. Since then, Rhizomatiks has expanded its portfolio 10-fold. The group now works project to project and has no single leading figurehead. 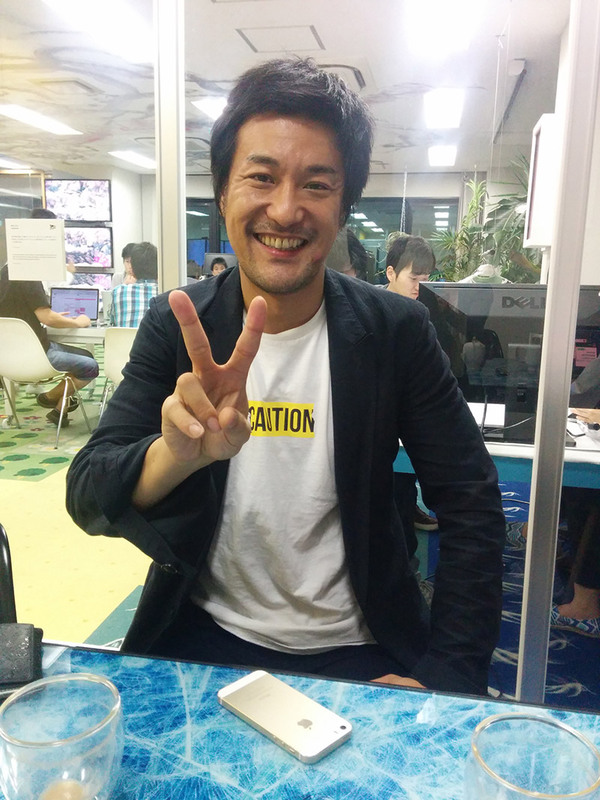 Qanta Shimizu, founder and chief technology officer at digital agency Party, has worked with both Manabe and Rhizomatiks on several projects. It is the attention to detail that typically makes domestic media artists stand out. Another group, or digital agency, that is channeling its creative and artistic energies in a similar way is teamLab from Tokyo. Initially established as a company that handled databases and web solutions, teamLab is becoming increasingly respected in the international art world. It has made a name for itself by creating interactive large-scale installations that comprise fluid atmospheric visuals and often depict flowers, animals and traditional Japanese motifs. Audiences can easily get lost in the meditative pace of the projections or LED screens they see in front of them and, at the same time, detect a vivid sense of spatiality. Even so, is it art? 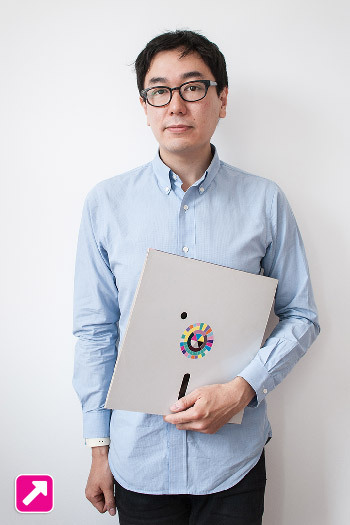 “We don’t do media art,” retorts Toshiyuki Inoko, who founded the company in 2001. Inoko comes from a scientific background, graduating from the Department of Mathematical Engineering and Information Physics at the University of Tokyo. He sees his team of 350 as a group of ultratechnologists for whom technology is a facilitator for their creative output. “Technologist” is a term coined by Peter Drucker in 2001. A management professor, Drucker envisioned that modern society would be shaped by computer technicians, software designers and analysts who use just as much knowledge as they do physical work. TeamLab’s technologists use code as a kind of paint that can transform traditional Japanese artworks onto digital canvas. 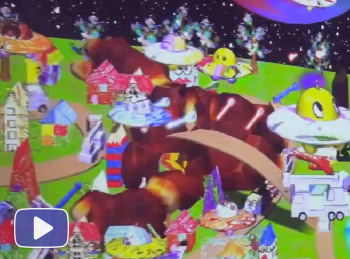 The end result is an “ultrasubjective space,” Inoko says. “You define the space through your perspective, your vision,” Inoko says. Although TeamLab has been around for 10 years already, the agency was largely unknown until acclaimed artist Takashi Murakami gave it the opportunity to hold an exhibition at his Kaikai Kiki Gallery in Taipei in 2011. “That was our debut in the art world and our work became categorized as art from that moment on,” Inoko says. More recently, major commercial brands such as Gucci have been keen to display teamLab’s high-resolution moving landscapes on the exterior of their stores. Meanwhile, Inoko has also decided to use the projections for educational purposes. “Kids Future Lab” is a co-creation lab equipped with interactive projections that use laser range sensors. A version of the lab is currently installed at Tokyo’s National Museum of Emerging Science and Innovation (Miraikan) through March 1, 2015. 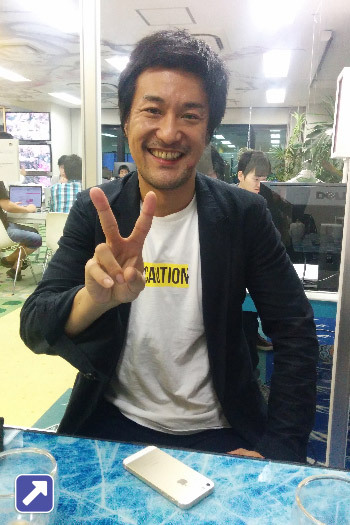 “Children can make something fun in the lab but they need to connect with other kids in order to do so,” Inoko says. In short, teamLab is an agency that produces digital works of art that audiences can actually explore and be a part of. This suggests domestic media artists have another attribute that defines them — the ability to think outside the box and come up with something unexpected. VIDEO: teamLabBall / teamLab exhibition "We are the Future"
The beauty of contemporary media art examined here can often be found in the code on which it is constructed. While developers are sure to marvel at the source code of each project, it’s fascinating to see how a tool so rational and precise can produce such breathtaking works of art. 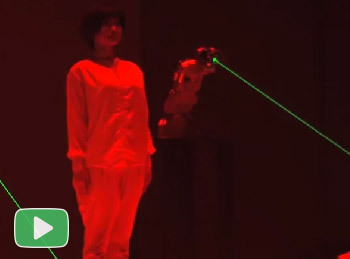 It’s arguably even more astonishing to see Japanese artists using such technology in unique and inventive ways.